The LMC has said it accepted the reasons adduced by El-Kanemi Warriors FC for its failure to honour its Glo Premier League Match Day 33 fixture against FC IfeanyiUbah in Nnewi hence the match was rescheduled for October 28. LMC explained that the club’s failure to honour the match was due to the illegal strike action embarked by the players. Chairman of the LMC, Shehu Dikko said El-Kanemi has subsequently been ordered to bear the cost of organizing the rescheduled match and also pay FC IfeanyiUbah for loss of revenue occasioned by the failed fixture. "It is our ruling that El-Kanemi will bear the cost of organizing the botched match as well as pay compensation to the host club for loss of revenue. They will pay N2m as cost of organizing the botched match and N240, 000 as compensation to FC IfeanyiUbah for loss of revenue". El-Kanemi had in a letter to the LMC dated October 10, 2015, stated that it was unable to honour the match due to strike action embarked upon by its players over unpaid wages as a result of which the players boycotted the match. The club further requested that the match be postponed. Dikko said the LMC relied on Article B13.25 of the League Rules which states that "failure of any club to honour its fixture obligation without any reason acceptable to the LMC shall attract a fine of N10,000,000.00 in addition to covering the expenses incurred by the home team, as well as forfeiture of 3 points and 3 goals arising from the match". In reaching its decision on whether or not to accept the reason adduced by El-Kanemi Warriors as provided above, the LMC noted that “the strike action embarked upon by the players is not only contrary to the procedure for declaring a trade dispute under the League Rules, but it also undermines the proceedings already instituted by the LMC in respect of the subject matter of unpaid wages”. 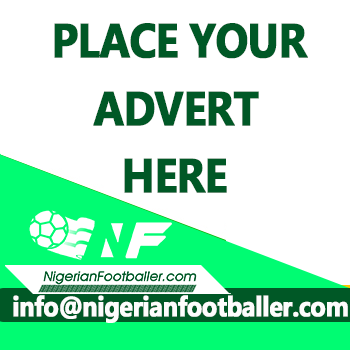 It will be recalled that the LMC had earlier issued a deadline of 27th October 2015 to El-Kanemi Warriors to settle outstanding debts owed its players or face a deduction of six points. The LMC stated that it did not condone the manner in which the players embarked on their purported strike action, without regard for the Rules. The LMC declared the strike illegal relying on Section D of the Rules which states that "before declaring a trade dispute with a club, the player or official shall first issue a 45-days’ notice to the club management and further give the LMC a period of 15 days within which to intervene, upon the failure of which the matter should be referred to the Arbitration Committee of the Nigeria Football Federation, rather than resorting to a strike action. Obviously, this process was not adhered to by the players". The players of El-Kanemi Warriors FC were then issued with a reprimand for failing to follow the procedure for declaring a trade dispute under the League Rules, with a warning to respect the rules of the League or face a one-year ban.